It's now more important than ever to make the switch from disposable products to an environmentally friendly alternative such as our compostable products. 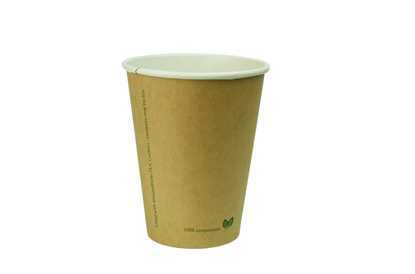 We have a wide range of compostable cups & lids from great brands such as Down2Earth, Go-Pak & Edenware. We have a wide range of sizes including 8oz, 10oz, 12oz & 16oz with a single wall or double wall cup design. We can also help you create your own bespoke, branded cup for your hotel, bar, restaurant or cafe - made from 100% compostable materials.